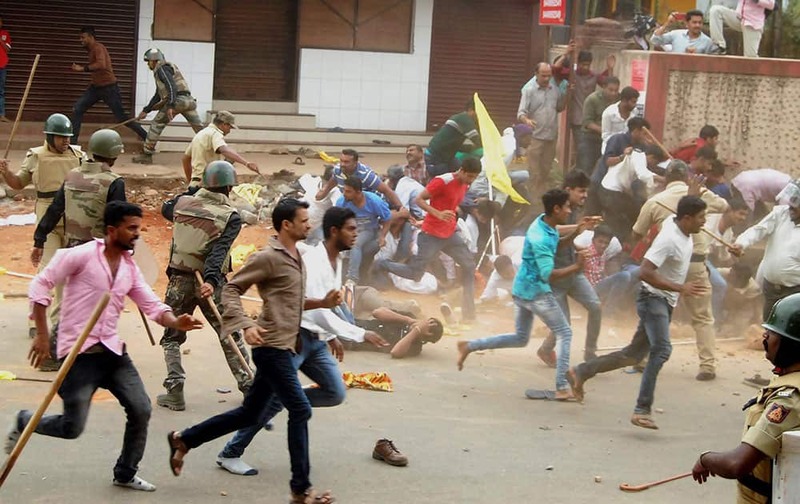 Police in action after two groups clashed over Karnataka governments decision to go ahead with Tipu Sultan Jayanti celebrations, in Kodgu. Actress Hrishita Bhatt lighting a lamp on the eve of Diwali at a tomb in Agra. British actor Benedict Cumberbatch, left, poses with his wife Sophie Hunter after receiving the CBE (Commander of the Order of the British Empire) from Britain's Queen Elizabeth II, during an Investiture Ceremony at Buckingham Palace, in London. 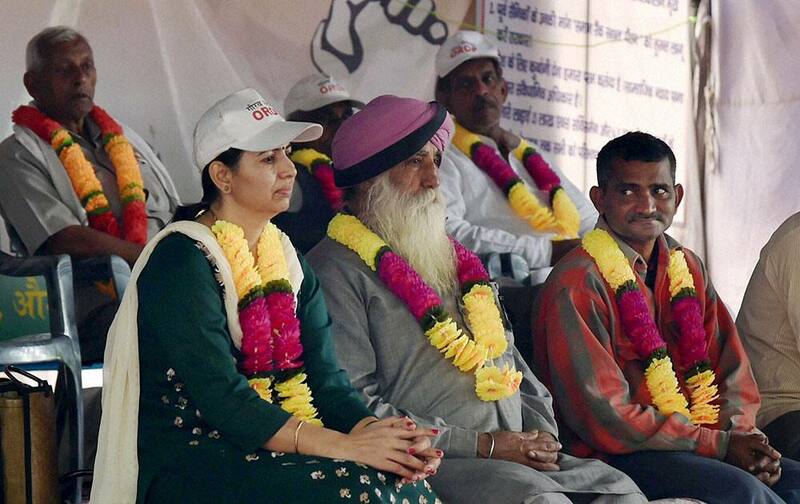 Ex-servicemen during their agitation for One Rank One Pension (OROP) scheme benefits and privileges at Jantar Mantar in New Delhi. 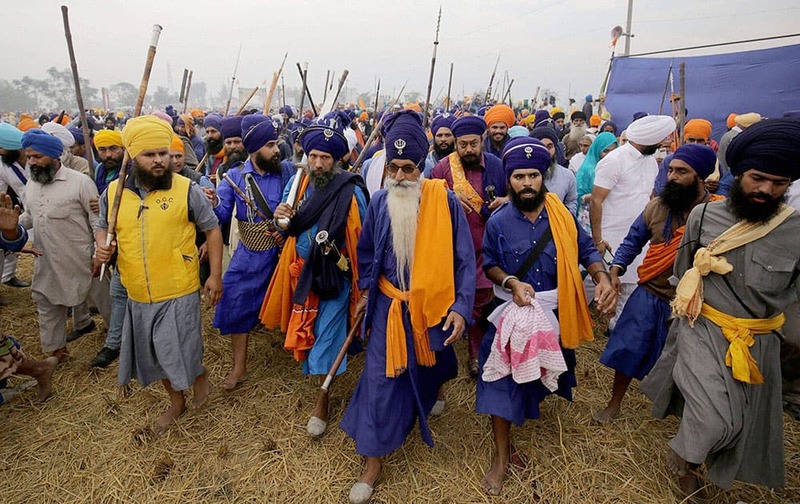 Nihangs arrive to participate in Sarbat Khalsa with their traditional weapons at Chaba village near Amritsar. British actor Daniel Craig and French actress Lea Seydoux pose for photographers before a press conference for the movie 'Spectre' in Beijing. 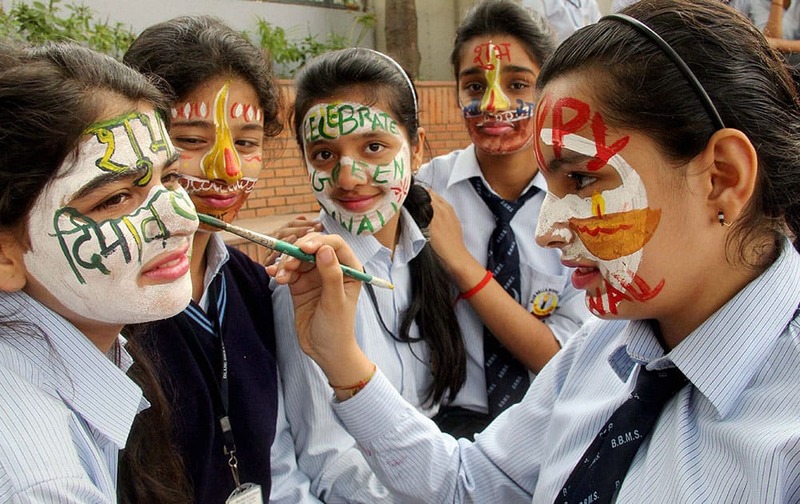 School Children painting their faces during Diwali celebrations at a school. Sand artist Sudarshan Pattnaik creates a sand sculpture with a message Congrats! 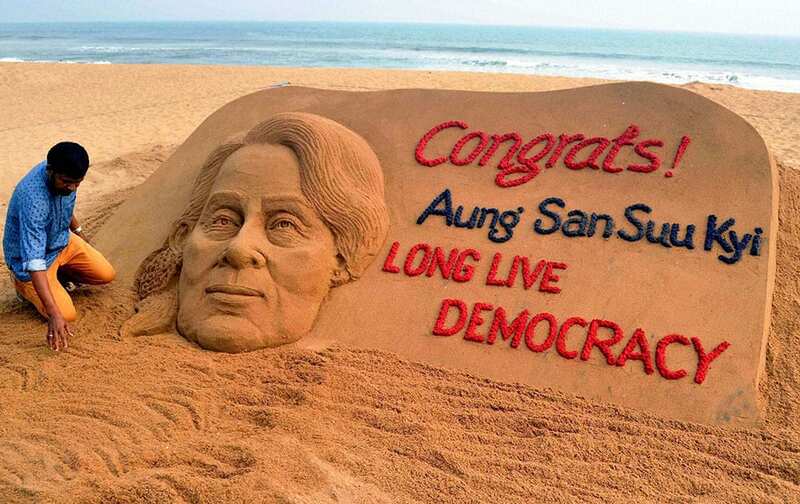 Aung San Suu Kyi, Long Live Democracy. Sri Lankas Shehan Jayasuriya plays a shot during their first Twenty20 cricket match against West Indies in Pallekele, Sri Lanka. 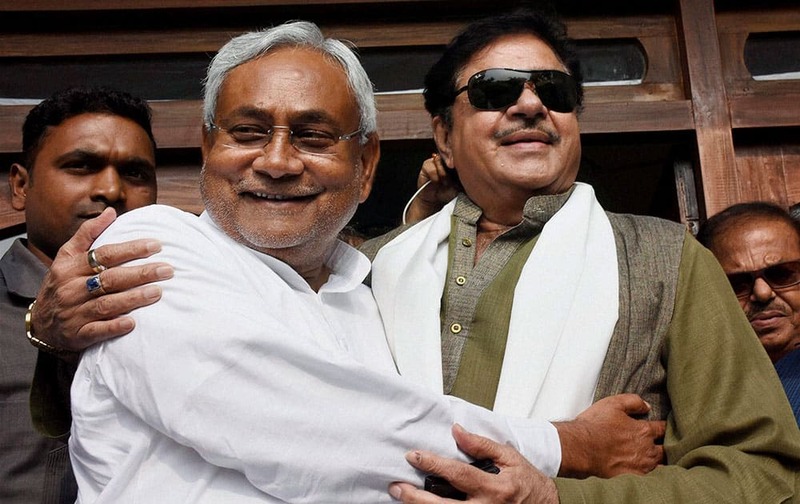 Actor and BJP MP Shatrughan Sinha hugging Bihar Chief Minister Nitish Kumar after his success in the Bihar elections, in Patna. RJD chief Lalu Prasad relaxes at his residence in Patna on Monday a day after Bihar polls results. 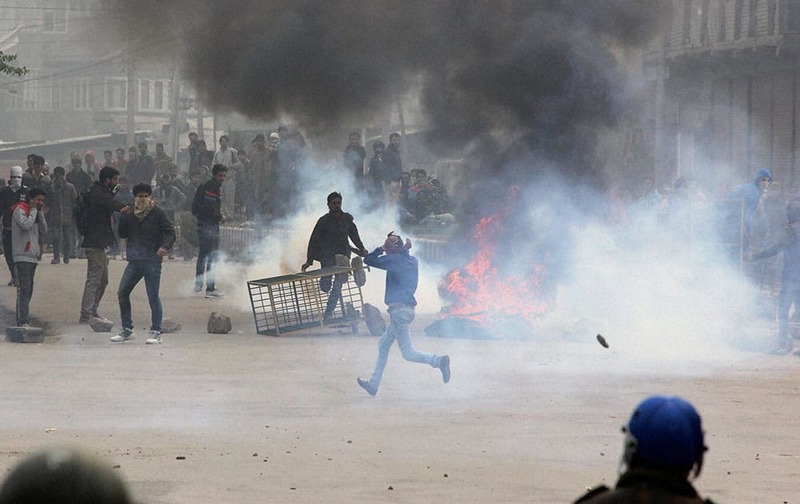 Protesters amid tear smoke throwing stones at the police during a clash over the killing of a 21-year-old youth at Gojwara in Srinagar. 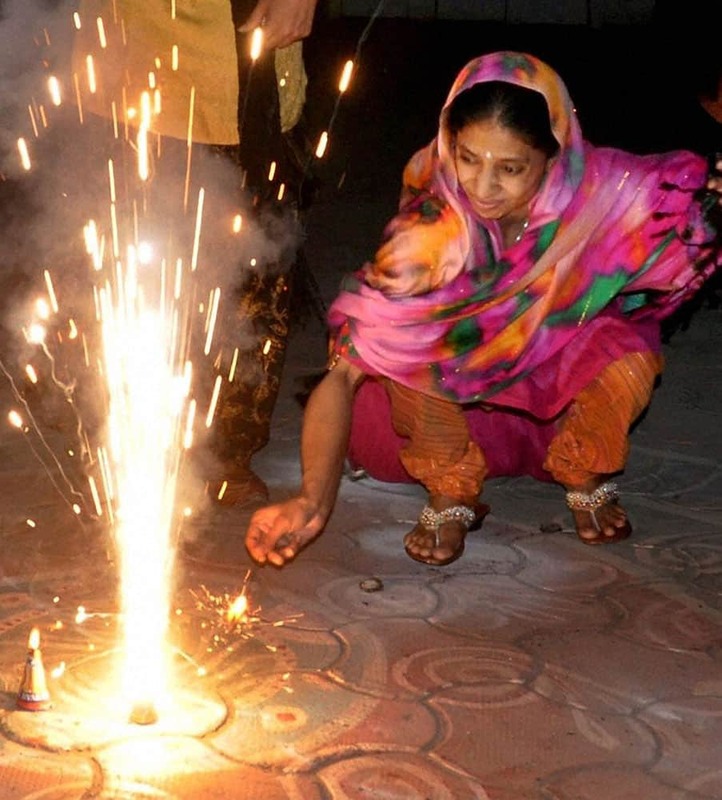 Geeta, a deaf-mute Indian woman who accidentally crossed over to Pakistan more than a decade ago, celebrating Diwali in Indore.